Are you still trying to come up with an amazing gift? May we suggest tickets to an event – which offer you a world of great options. Event tickets are a fantastic gift because it is something that you can share with that person and attend together. Plus, attending a great event is going to create memories that will last way longer than a crappy tie or big, fluffy slippers. To help you out, we put together a few ideas below. 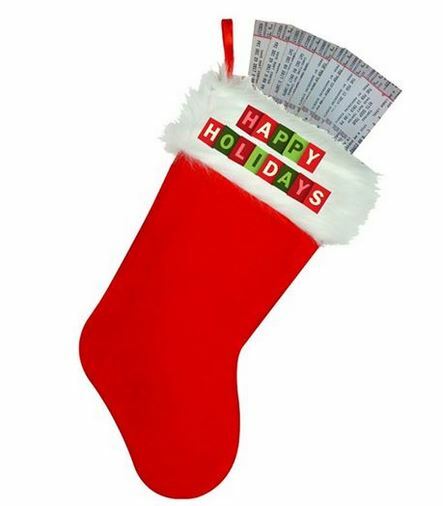 Stocking Stuffers (These events have ticket options available for all budgets). College Basketball: Conference season is nearly here, so plenty of good games. MLB Opening Day: Nothing better than sitting in the Sun at a ballpark. Monster Jam: A cool idea for the kids who love trucks, fireworks & action. Bowl Games: There are 40+ options here all being played in next 3 weeks. Comedy Show: There is nothing better than going and laughing for 2 hours straight. WWE: Kids love it. Adults love it. It’s really entertaining. Gold Leaf Wrapping Paper (Most expensive, but are the most sought-after events). Hamilton: The hottest Broadway show this decade. See it in NYC or on the road. Hugh Jackman: One of the biggest touring shows of 2019 is family friendly. The Masters: Our most popular bucket list event. We can just do tickets or a full package. Music Festival: Nothing beats experience at big show like Coachella, Lollapalooza or Stagecoach. If these are not the right gift, then browse our site where we’ve got over 100,000 events listed. You’ll find the right one. Happy Holidays!